With the abrupt change in the weather, it is no wonder that more and more people are falling sick. With cold and viral fever doing the rounds, it is very important to take extra care of ourselves. I think, one of the major drawbacks of falling sick is having to deal with a sore throat. Now we all know how irritating a sore throat can be, right? 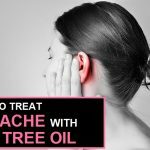 The pain and the itchiness definitely makes us irritable and all we can think of is how to get rid of that pesky sore throat. A sore throat is typically accompanied by pain, itchiness and irritation which makes it difficult to swallow food. Let us read to know here how to get rid of a sore throat naturally at home. 17. Milk – Yes Or No? Viruses that cause flu or those that result in blisters in the mouth and throat. Sore throat can also be caused due to excessive smoking. Bacterial infection causes strep throat. Throat inflammation due to diphtheria. Sore throat is also caused due to postnasal drip. Allergic reaction to mold, pollen, etc. Though pain and irritation are some of the symptoms, there are other symptoms too which can help you in identifying whether you have a sore throat or not. The first indication of a sore throat is definitely pain or an itching sensation in your throat. Difficulty in swallowing solid food or liquids. Formation of white patches or pus on your tonsils. Your voice sounds hoarse or muffled. Now that you have first hand knowledge about the causes and symptoms of sore throat, it is time to find out the remedies to fix it. 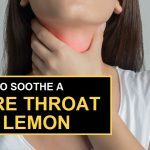 We have 25 natural sore throat remedies for you which will not only soothe your sore throat but are also quite easy and simple to do. These are all tried and tested methods. So you don’t have to really worry or question about their effectiveness! Grannies are the best, aren’t they? Whether you are cooking something or curing something; they have super effective tips and solutions for everything. Here is a simple Granny remedy that you can try for your sore throat. Take a glass of warm water – make sure that it is not too hot. Add half a teaspoon of salt in it. Mix it well. Gargle with this solution thrice a day. This will help in decreasing the swelling of your mucous membranes as well as relieve you off your runny nose. The ACV is one such home remedy which can cure almost anything and everything. Though it has a horrible taste, it is definitely worthy of being called a magic potion. You can use the ACV in two different ways to fix your sore throat. Mix them all together and drink it up. Remember that it should be had while it is still warm. Add 2 tablespoons of ACV. Mix it well and gargle with it once a day. No, we are not referring to the sweet tasting marshmallows. You need to get your hands on the herb – marshmallow root. It contains mucilage which helps in coating and soothing your throats mucus membranes. Take one tablespoon of dried marshmallow root in a glass. Add one cup of boiling water over it. Keep it covered for about 30-60 minutes. Now strain and drink it up. If you are a diabetic patient, we suggest you consult with your doctor before going for this remedy. Sounds spicy and weird? Well, however it may sound, this is one of the most effective ways of treating your sore throat. Cayenne consists of a chemical compound called capsaicin which gives you instant relief from pain. You will need half a teaspoon of cayenne pepper. If you cannot bear too much spice, you can reduce the quantity. Add the cayenne and one teaspoon of honey in a cup of boiling water. Stir it well until the cayenne has settled completely in the mixture. You can have this drink throughout the day but make sue the drink is warm. Ok, so you don’t really need any elaborate ingredient for this remedy. This is actually one of the most basic things to do and it is also the one that people miss out on doing. Start by looking for a comfortable place where you can rest peacefully without any disturbance. Take a drink of your choice – no not alcohol or caffeine! Have some orange juice, herbal tea or plain water. Now relax, read, watch your favorite movie, listen to some music all the while sipping on your drink. Honeysuckle has numerous benefits due it to its bacteria fighting properties. It is quite effective in reducing the swelling in your throat, fixing sore throats, coughs, flu, etc. You will need 2 cups of honeysuckle flowers and leaves. Add them to one cup of boiling water and strain the concoction after 10 minutes. If you want you can add some honey or lemon to this. A hot toddy is one of the best natural remedies for clearing a sore throat. The recipe includes alcohol as well but it is not mandatory and keeping your bad health in mind, it is better to skip it. But. We leave the choice up to you. Take 3-4 tablespoons of bourbon or whiskey in a jug. Add hot water, 1 tablespoon of honey and one teaspoon of lemon juice to it. Mix it all together and use a microwave to heat it up again. Add a lemon slice to it and your hot toddy is ready. This remedy may not really excite you, but we guarantee that it will be super effective in soothing your sore throat. Put a piece of garlic in each of your cheek. Use it like a cough drop and keep sucking on it. Once in a while give it a gentle crush with your teeth to release the allicin compound. If you have a dry sore throat or you have congestion, a steam remedy is the best option. Take a large bowl and fill it half with boiling hot water. Add few drops of eucalyptus oil to it. Now take a towel and cover your head as you lean over the bowl to inhale the steam. With anti-inflammatory and anti-viral properties, licorice root tea can help greatly in reducing the irritation and swelling as well sooth your throat’s mucus membranes. Take a bowl and add a cup of chopped dry licorice root, 1/2 cup cinnamon chips, 2 tablespoons whole cloves and 1/2 cup chamomile flowers and mix them all together. Now take 3 tablespoons of the tea mix and 2.5 cups of cold water and boil it. Let it simmer of 10 minutes, strain it and have your licorice root tea. Just like the ACV, baking soda is another ingredient from your kitchen that is super effective in solving a lot of health related problems. Add half a teaspoon of salt and baking soda. Mix it. Use this to gargle thrice a day. We often use cloves as a means of relieving pain caused due to toothaches. Similarly they can also be used to treat your sore throats. You only need several whole cloves for this remedy. But, do not substitute it with clove oil. Put one or two cloves in your mouth and keep sucking on it. Once it becomes soft, you can chew them like gum and swallow it as well. We know it is impossible to stay at home the whole time when you are sick and though it is best to get well completely before you step out, there may be instances where you cannot avoid going out. In such instances, it is better you make an extra effort to stay away from things that can aggravate your sore throat like fumes, smog, cigarettes, cold drinks, alcohol, etc. How many of you have screamed your lungs out when hydrogen peroxide was poured over your cuts and bruises? This childhood enemy will become your best friend when you have a sore throat. In a glass, mix one cap of hydrogen peroxide and warm water. Dilute this mixture and gargle with it. You can add in a little bit of honey too. Herbal teas are absolutely wonderful to have when you have a sore throat and one such tea is the chamomile tea. Take a chamomile tea bag and dip it in a cup of hot water. Steep it for 10 minutes before you drink it. For an added flavor add some honey or lemon juice. Sage is an astringent which can help in decreasing the swelling and is a goo natural remedy for your sore throat. Boil a cup of water and add sage leaves in it. After letting it steep for 20 minutes, strain it, add salt and use the liquid to gargle. Whether you should have milk or not depends upon the condition of your sore throat. If you have a dry or raw sore throat, then it is best to have a glass of milk and honey to soothe your throat. However, if you have congestion then you should definitely skip the milk. Your throat is already filed with excessive mucus, no need to add a layer of milk over it. Pomegranates are rich with anti-oxidants which help in fighting off infection. For your sore throat, you can either make a pomegranate tea or you gargle or drink some pomegranate juice. To make the tea, boil the pomegranate rinds for 15 minutes. Once done, you can either drink it as tea or gargle with it. You can also take some pomegranate juice and drink it or gargle with it thrice in a day. Here is another one of those herbal teas. This time its the popular ginger tea which will not only make sore throat pain vanish but will also fight off the bacteria. Take some peeled ginger and cut them into slices. Next step is to crush those slices. Add those crushed ginger in a cup of water and let it boil for 3-5 minutes. Strain the liquid, add some flavors like honey or lemon juice if required and drink it up. Though spicy food is not an option when you have throat pain, the spicy cinnamon sticks are an exception which can be had when you have a sore throat. Boil some cinnamon sticks and keep it aside. Now take a herbal tea bag like chamomile or green tea and let it steep in the cinnamon water. Your herbal tea is ready. Say goodbye to your throat mucus with the help of lemon. You can either drink some lemon juice or use it to gargle. Add half a lemon’s juice and a teaspoon of honey to a glass of water. Mix it well and start sipping on it. You can also mix some lemon juice and water and gargle with it. Don’t we all love some candies? But, as a sore throat remedy, make sure you have some sugar-free candy like lozenges which will keep your cough at bay. Although, remember that this remedy is not suitable for children. Turmeric is an excellent home remedy for sore throats as it has anti-inflammatory and antiseptic properties. Stir 1/4 spoon of turmeric in a glass of water and have it on empty stomach every morning for couple of days. If you don’t want to drink it, add a little salt to it and gargle with it. Another way you can use this magical ingredient is by adding 1 teaspoon of turmeric and black pepper powder to a glass of milk and have it before you go to sleep. The anti-oxidant property present in tomatoes makes it an effective home remedy for sore throats. You need to mix half a cup of tomato juice and 10 drops of hot pepper sauce in a glass of hot water. Mix them all together and use it to gargle. Everybody knows the how beneficial green tea is and sore throat is another problem which can be solved with this super effective herbal tea. You can either drink a cup of green tea or you can also use it to gargle everyday. Wasn’t that an informative list of natural remedies to cure your sore throat? All of these remedies are made with ingredients which are easily available in your kitchens. So if you are suffering from a sore throat, go ahead and try one of these ideas and let us know if it worked out for you or not.